The pain of divorce is emotional and financial. Not only is the significant relationship in your life at an end, but your financial future is beginning to look murky. 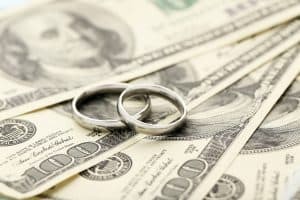 While every divorce is as unique as the two people who are separating, there are common financial issues that most couples will have to face. The following are a few of those financial issues that can arise and must be resolved during the divorce process, according to an article in The Balance. The division of assets is one of the most challenging aspects of divorce. People develop attachments to their material possessions, and figuring out how to divide up the belongings you have accumulated can be difficult. In Maryland, asset division follows the equitable division model of distributing marital assets if the courts must oversee property division. The parties can develop their own agreement for how the property will be divided, but if they are unable to come to an agreement, the judge will follow the equitable distribution model to divide the property, which does not always mean straight down the middle, but in as fair a manner as possible. Any outstanding debts that the parties have incurred during the marriage must be resolved as part of the divorce agreement. Both parties should pull their credit reports to find out how much they owe, close any joint accounts, determine which debt is in which party’s name, and come to an agreement on how those debts will be paid and by whom. If they cannot, their individual lawyers, along with any financial experts they hire, can assist in this. Pay off the debts you can pay off now. Agree to take responsibility for the debts in exchange for receiving more of the assets. Agree to let the other party take responsibility for the debts in exchange for receiving more of the assets. Agree to share the debt equally, keeping in mind that you may still be held liable if the other party does not keep their agreement. If the two parties cannot reach an agreement (with or without lawyers), then a judge will divide the marital debts as he or she divided the assets. It is important to note that not all debt incurred during the marriage is marital debt, and a skilled Annapolis family lawyer attorney can assist you with determining which debt is marital debt. Who will claim “Head of Household” on the final tax return? Will alimony payments be tax-deductible? (The new tax law put into effect for 2019 changes how alimony is treated. Be sure to discuss this with your attorney). You may be entitled to receive half of your spouse’s retirement savings, but you will want to consult with your divorce attorney and your CPA to make sure you avoid the 10% IRS tax penalty for early withdrawal. Finally, if you are planning to get a divorce, make sure to educate yourself about all aspects of your financial position. Working with an experienced Annapolis divorce attorney can save you money in the long run by saving you time, helping you to avoid needless litigation and vigilantly protecting your interests while you might be consumed by emotion and dealing with chaotic life changes. At Cynthia H. Clark & Associates, LLC, our experienced Annapolis divorce attorneys are here to protect your interests during a challenging time when your world seems to be falling apart. You most likely have many questions about the financial aspects of divorce. Please call 410.921.2422 or fill out our contact form to reserve a consultation time with a member of our team.